So if you are a viewer of any of the shows on OWN, then you might have come across Iyanla: Fix My Life. To be perfectly honest, I personally never felt the desire to watch her show. However, as of recently, there is a special segment of Iyanla: Fix My Life, that has caught my attention in the worse way possible. This segment seems to be dedicated to giving a group of black men a national platform to express why they don't date black women (have mercy). Now I am someone who believes everyone should be able to freely express how they feel on any topic. However this is not one of them! 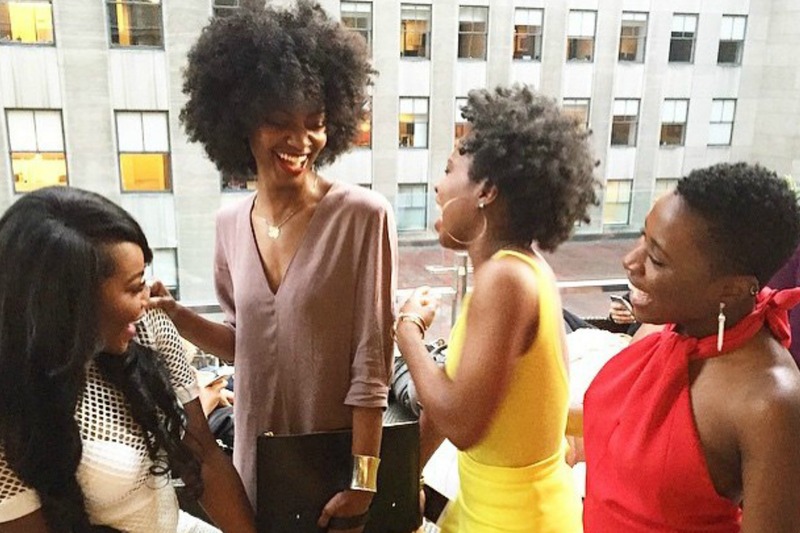 Black women are bashed on a daily basis via social media, and in some cases in person. So why are we giving them the opportunity to do this on television? Mind you, these men don't seem to want to be "fixed", or try to understand why black women are so "angry" but rather just want to let the whole world know that their little feeling have been hurt and pride has been bruised, and it's time to cry about it. Plus if you really look at them talking, they are the angry ones. I can usually listen to people vent and let their feelings out, but not these men, because nothing they say can or ever will be validated. "Black men who prefer white women never tell you why they like white women, it's always why they don't like black women". I don't care if you want to date an alien, that doesn't give you the right to bash others, especially women that look like your mother, period. Out of all of these feelings that I have shared, the thing that really upsets me is the fact that I know there are white women watching this, and rather than sensing loyalty and respect from the black man for their women, they are seeing us being publicly humiliated and disrespected. 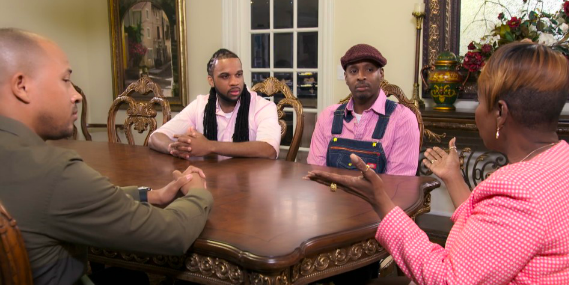 In closing, if Iyanla wanted to have a private seminar with these men, then fine. I just really dislike the fact that they were given such a huge opportunity to discuss, dare I say, their hatred for black women on national television. Especially a topic that black women are slapped with nearly everyday! Self-Hate isn't an issue that can be "fixed" by a life coach. These men and others like them are going to have to WILLINGLY want to change. In the meantime I'm not here to stroke anyone's ego who decides I'm not desirable. Thank you for reading and make sure to share your thoughts! I despise platforms that disguise themselves to be uplifting to the black community. Underneath the layers of "blackness", of OWN is deep rooted layer is of White Supremacy. It's the infamous White Superiority/Black Inferiority media imagery that Black people are constantly bombarded with. I don't watch her channel, but I know that most of her shows aren't really uplifting in terms of "fixing' our problems. I feel as OWN as a whole missed out on the perfect opportunity to do just that by not covering the Million Man March. It sounds harsh, but the OWN channel & Iyanla: Fix My Life can do better. They do not need to stoop that low for ratings. Hi, i think that especially as a Black a woman Iyanla had the intention of reframing the mindsets of these men and helping them to see that their behavior and mindsets are severely skewed. This episode was one part of a whole series that she did for both black men and black women. This isn't he beginning however because she co-hosted a series of episodes to fatherless children, something I watched with my mother who was a single parent, which was hersputic for the both of us in the contempt that we have each held over the years. What we have to remember is that we as a people hold some individual responsibilities for ourselves to change and really get it the bottom of who we are to heal and to understand. there have been a couple episodes that I walked away from questioning the adequacy of her input..however I appreciate her for working with these men and for showing them how they've been conditioned because many Black men don't even realize that. She showed them how their divisive and hurtful actions and words towards Black women was in fact hurtful! (I may also be referring to the subsequent episodes that she had featuring some of the men that were also present in this episode). Maybe it's because I'm young and haven't had much experience but I was grateful that she used her platform as a Black woman to address this. As for Oprah, I think that she is using her platform as a media mogul to showcase The multifacedness of black life (featuring Ava Duvernay's directed Queen Sugar, Tyler Perry's new original shows, Iyanla's show, TD Jakes show if (I'm not mistaken lol I'm not sure), and in her holistic inclusion of the spiritual on her channel, something that many shy away from in the media) these are some things I think should be considered. I recently checked out your blog and I love the aesthetic. This is the first thing that I saw and I'm so looking forward to reading the rest of your content! Its a beautiful thing that you are talking about such things that affect young Black women such as myself! Thank you for this blog and your insight.